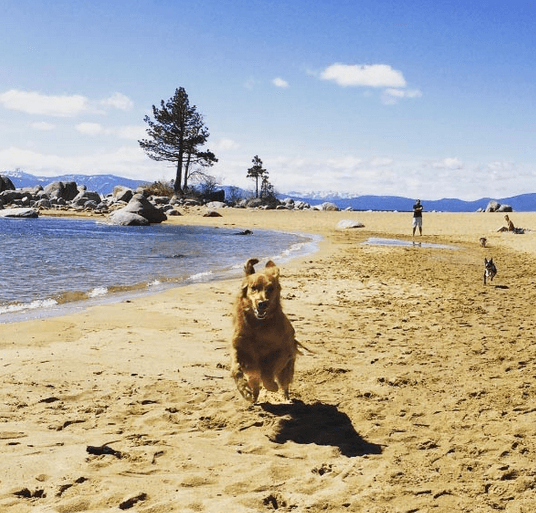 South Lake Tahoe overall, is very dog friendly. There are many pet accommodating hotels and restaurants with outdoor seating that are happy to have your well-behaved fur baby join you. 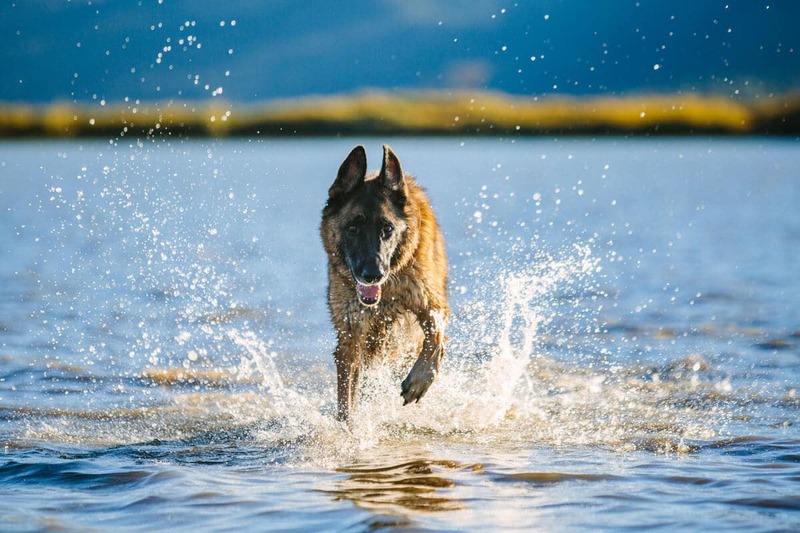 Though most designated swimming beaches do not allow dogs, with a little advance planning, you can find a spot where you and your furry friend can cool off together. Make sure your pet has identification on its collar, you are carrying a 6-foot leash and you’ve packed a day’s worth of pick up bags. Then, head out to one of these lake locations for some pup-bonding fun! Kiva is well known for being canine friendly and is often referred to by local kids as, “The Dog Beach.” Located approximately 3.5 miles north of the “Y” (the intersection of Highway 50 and Highway 89) Kiva Beach can be tricky to find but well worth the effort. Park in the Visitor’s Center parking lot adjacent to the Tallac Historic Site and follow the trail to the beach. Parking is free and the Visitors Center has restrooms and picnic tables so you’ll want to get here early, especially on a hot summer day! 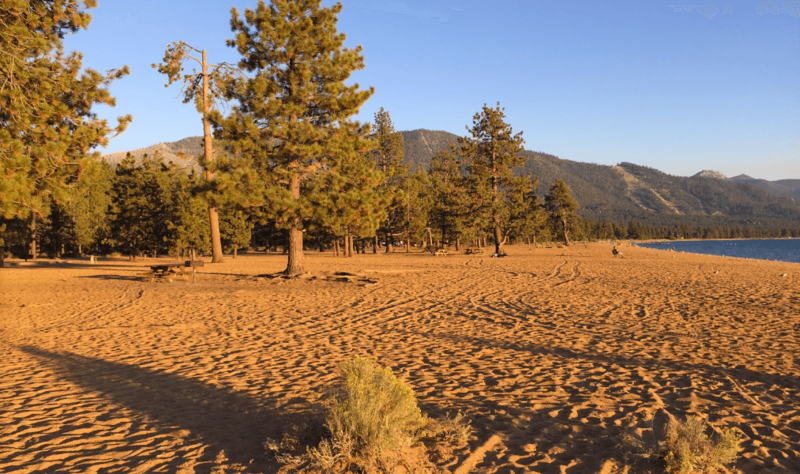 Look for Forest Service signs showing that dogs are allowed east of Tallac Point and that they are restricted from the protected wetlands around the mouth of Taylor Creek. And, although you are certain to see risky pet owners with unleashed dogs, leash laws are strictly enforced and dogs should be secured at all times. 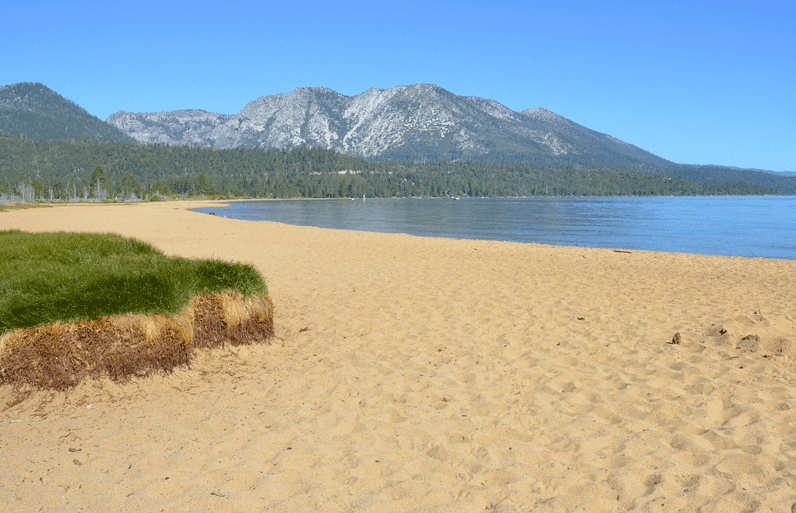 While technically east, not south, this is also an option for water adventure just a few miles past Nevada Beach. Dogs aren’t allowed at the main beach of Zephyr Cove Resort but you both can explore the crystal clear water along the rocky area to the north. Parking is permitted on the lakeside, along Highway 50 and in the Zephyr Cove Elementary school parking lot during the summer and on weekends. Crossing Highway 50, with or without an animal can be dangerous, best to cross at the light near the resort and hike back toward the north beach area. Wherever you swim with Fido please be respectful of the non-pet owners and as always, scoop up and properly dispose of your furry friend’s waste. Have fun but also keep in mind, just like humans, dogs can become incapacitated from the icy cold water of Lake Tahoe. Depending on the time of year and the temperament of your pet you may want to consider a doggie life jacket.